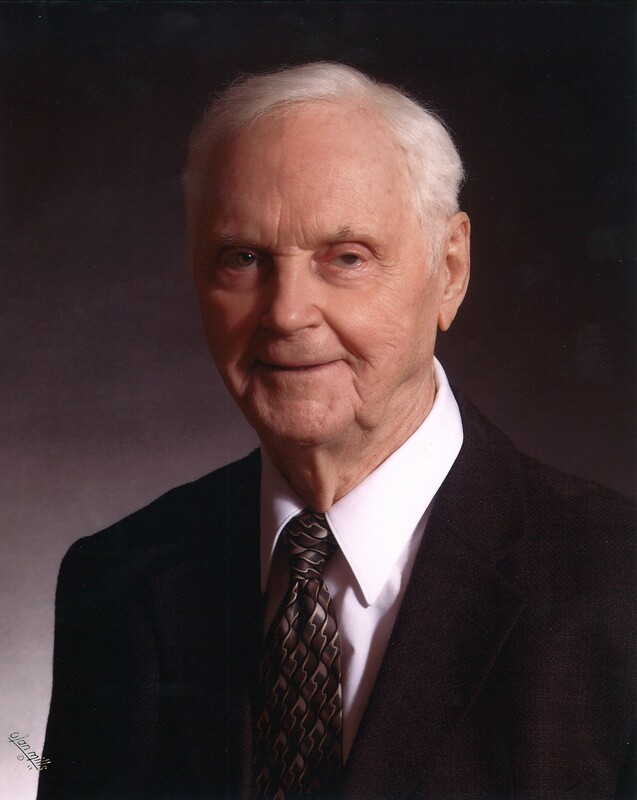 Dwayne Marlin Simanton, Sr. “Si Sr.”, 88, passed away on Monday, March 19, 2018 at the Hi- Line Retirement Center with family by his side. Dwayne was born July 2, 1929 in Malta, Montana. He spent his childhood and attended school in Strater. He graduated from Malta High School in 1948. Dwayne then attended Montana State University from 1948-1950 and served as the football manager during the 1949 season. He remained a Bobcat fan ever since. On November 15, 1950, Dwayne married Sheila Edwards at Malta Lutheran Church. He was drafted and spent two years in the U.S. Army. After having their daughter-Janine in 1952, while stationed at Camp Cooke, they eventually made Malta their life-long home. Dwayne Jr. was born in 1953. “Si” worked as the John Deere parts manager and eventually became the owner of the Malta Mercantile, retiring in 1993. He opened Dwayne’s Sales and Service, an appliance shop, afterwards and enjoyed working on Maytag’s long after he closed the shop doors. After his beloved Sheila passed away in 2007, Dwayne moved to the Hi-Line Retirement Center in 2010. He thoroughly enjoyed “harassing” the staff there and the hospital on a daily basis. “Si ” will always be known for his kind and generous personality, his love of “getting things done” and helping others do the same. He LOVED baseball (local softball and the New York Yankees especially) and wore his Roger’s Saloon softball coat up until his last days. Dancing, playing cards and a huge supporter of Malta Athletics were among his favorite pastimes. Dwayne was a member Kiwanis, Moose Club, Elks Club and Bucket. He was also a member of the Malta Lutheran Church, helped out at the Malta Food Bank and fought fire for the Malta Fire Department. He enjoyed helping out with Malta Ambulance and assisted Wilford Bell, Garry Adams and Greg Kirkwood with funerals for decades. Above all, he enjoyed spending time with his family and eating a good meal. He probably will eat lemon pie for every meal in Heaven. Dwayne was preceded in death by his parents, Hugh & Minnie (Miller) Simanton; infant son, Craig Dwayne; wife, Sheila (Edwards) Simanton and daughter-in-law, Roxann (Dwayne Jr.) Simanton. He is survived by his daughter-Janine (Craig) Stiles, son-Dwayne Jr., brother-Hubert (Carol) Simanton, sister-Judi (David) Stabler, sister-in-laws-Elaine (John) Brookes, Toots (Tom) Thompson, brother-in-law-Bill Edwards. Grandchildren-Joe (Julie) Simanton, Erik (Shayley) Simanton, Kris (Stacie) Simanton, Melissa (Grant) Dunbar, Kirk (Tia) Stiles, Jenny (Jeff) Van Heel, Bo (Angie) Stiles. Great grandchildren include Rhett, Jayce, Mason, Collin, Brooklyn, Luke, Tessa, Isla, Ainsley, Taije, Vienna, Bohdi, Cylas, Matix, Kash, Kruise and Kase. Godchild, Chris (Thompson) Blake and numerous nieces and nephews. The family will receive friends Friday, March 23, 6:00 pm at Kirkwood Memorial Chapel. Funeral Services with Military Honors will be Saturday, March 24, 11:00 am at the Malta Lutheran Church. Interment at a later date during the beauty of summer. Condolences for the family may be left at www.kirkwoodfuneralhome.com. So sorry for your loss, Janine and Dwayne and families. My thoughts and prayers are with you at this time. Dwayne is my Great Uncle, I just wanted to say that my memories of him are only fond, and full of laughter. He truly was a very funny social guy. Love to the family.